I love this cute heart shaped egg ring. It is perfect to make any meal special, as we can use it to fry eggs, and more. I used it over my electric grill and frying pan, and had good results. Since it is made with silicone, the Trudeau egg ring can withhold a temperature of 428F. I found we have to be careful when using the egg ring and make sure to only touch the silicon top and not the metal holder, as it can get hot. 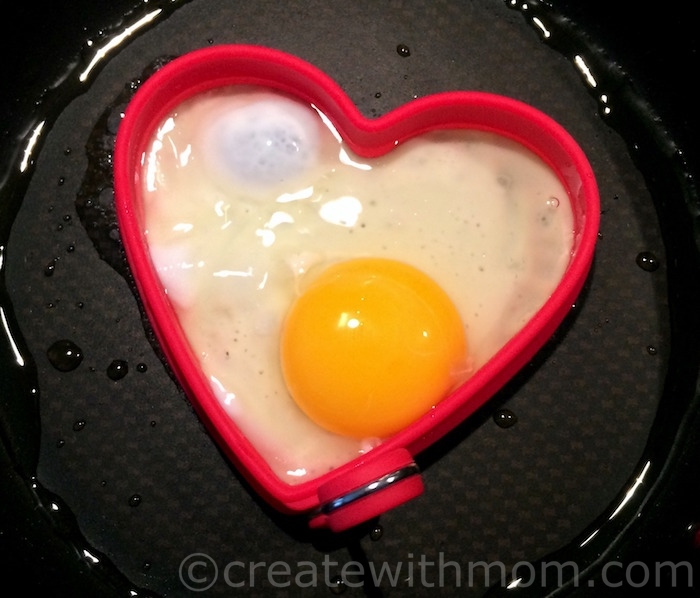 To make this heart shaped egg, place the heart shaped egg ring over a preheated, oiled frying pan. Crack the egg in a bowl before pouring it to the middle of the mould. Once it is cooked, it is easy to turn and cook the other side. You can use the same method to make omelettes. In our home a strainer is an essential tool. 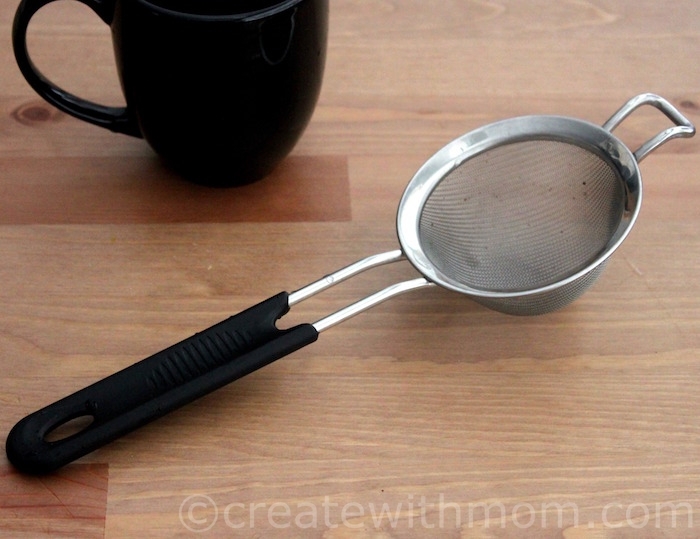 I use a strainer at least twice a day when I make tea, as I steep loose tea leaves. I also use a strainer when making desserts from straining melted butter to sifting ingredients. For the purposes of straining hot liquid, I find having a sturdy, good quality mesh strainer like this Trudeau strainer is essential. I believe when we have good quality tools in the kitchen, it helps the process of making meals smooth and eliminates frustrations. 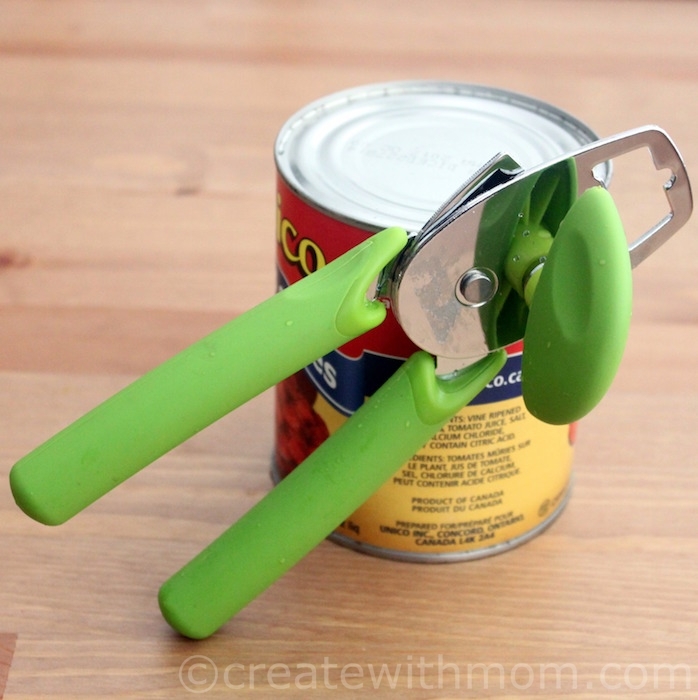 A can opener is an essential kitchen tool for me, and it is important that the can opener works easily and smoothly. 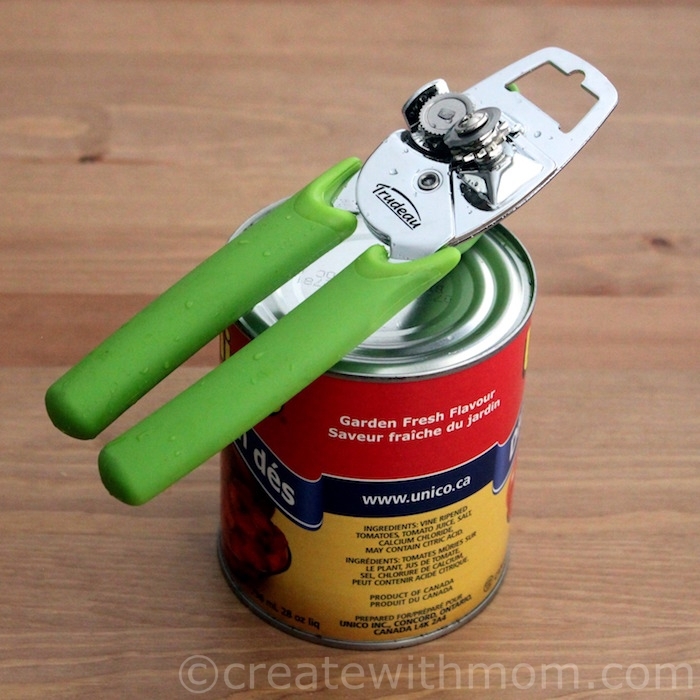 I found this Trudeau can opener a useful, colourful must have kitchen gadget. I purchased about four different can openers before I found one I liked! I want to win tickets to see Disney's Once! I've picked up more than my fair share of can openers. Perfect for St Valentine's Day! That heart shaped cutter is so cute! This post awesome ! Looks delicious !! i really like the egg ring. we have some pancake ones, christmas shaped and they are adorable! These gadgets would come in so handy! That heart shaped egg ring is adorable!! 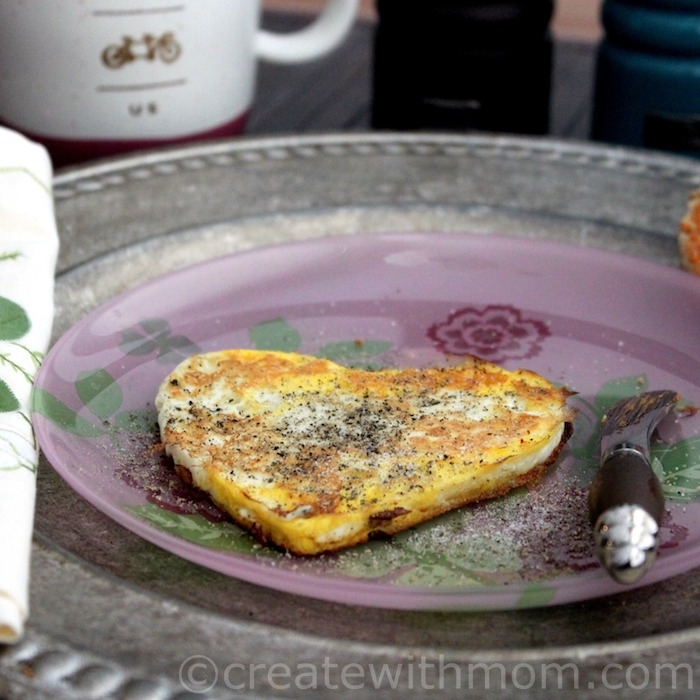 Great idea with the egg heart mold!